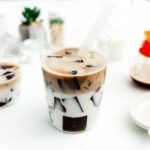 If you love coffee jelly in your boba drinks, you've come to the right place: make your own coffee jelly boba at home. Do you love boba? You know, those Taiwanese bubble tea drinks with chewy tapioca pearls? I’m Obsessed, capital O. So much so that I feel like I have to restrict myself. It’s truly an addiction. Anyway, I always get the same thing, milk tea with boba/pearls/bubbles because I’m basic. 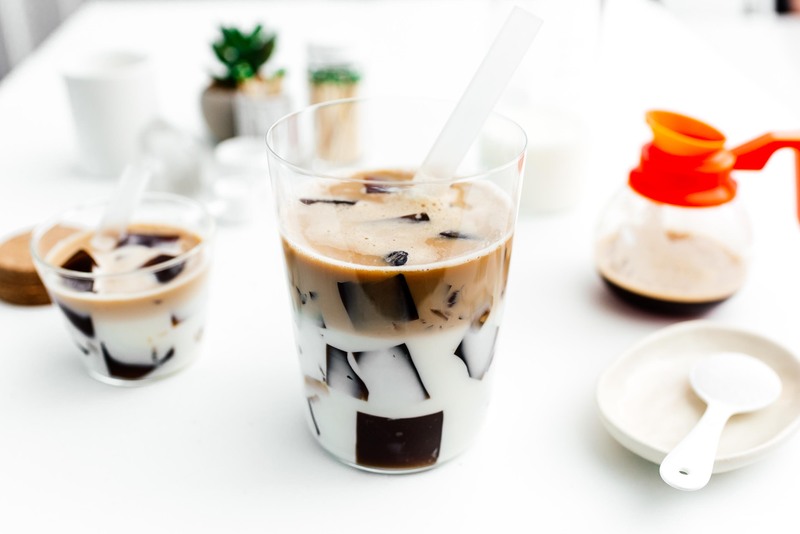 But sometimes, I’ll branch out and get grass jelly or if I’m really feeling wild and they have it, I’ll get coffee jelly. 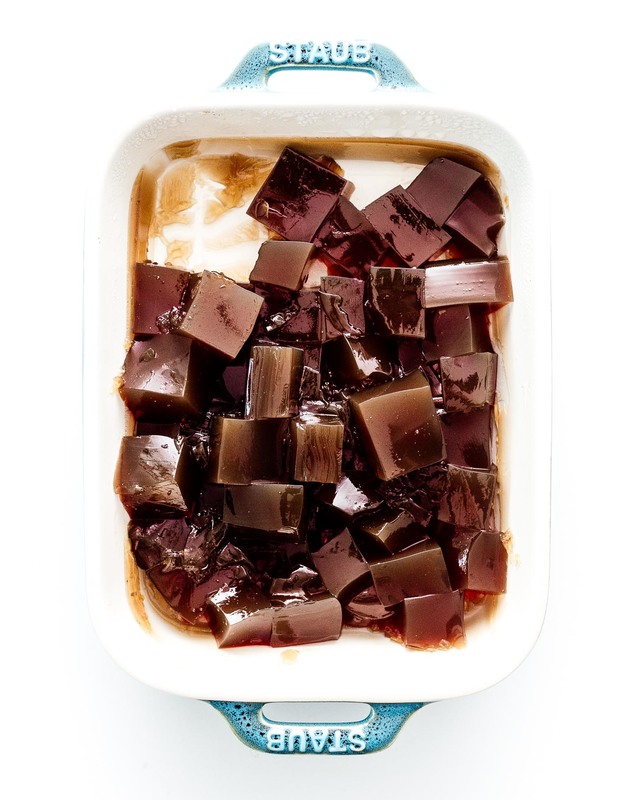 Coffee jelly is essentially jello/jelly made with coffee. It slurps up nice and easy through the straw and has that delightful texture that you can squish. It’s super refreshing and way cheaper than getting boba out. Heck, you can start your own boba shop with this recipe. Here I paired it with milk and even more coffee for the ultimate in coffee flavor. But, I’ll have you know, I did it all with decaf! Of course, you go caffeinated if you like, you do you! Stir together the coffee, sugar, and gelatin and carefully pour into a rectangular dish or container. Let set until jiggly, 1-2 hours or overnight, then cut into cubes. 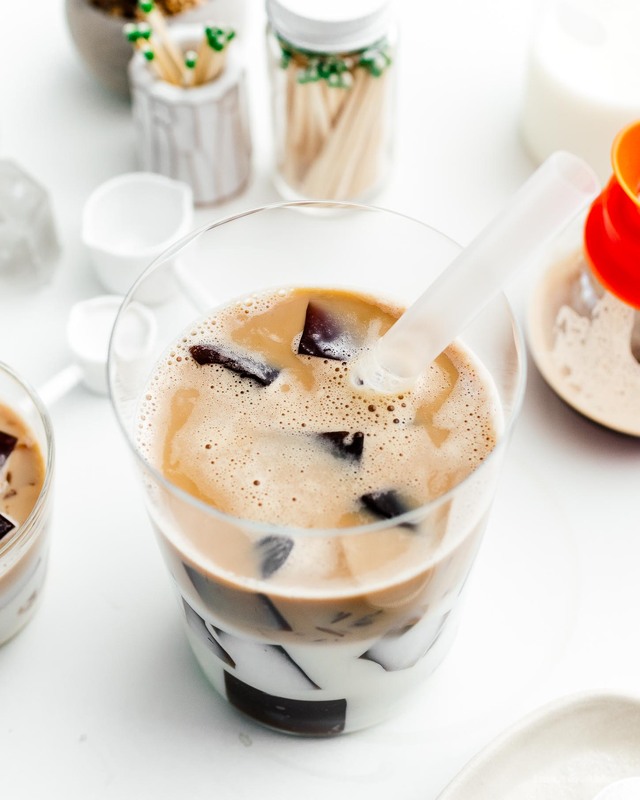 Add the coffee jelly to a glass and top with milk and iced coffee. If you need to add sweetener, add the milk, coffee, and sweetener first before adding the coffee jelly cubes. Enjoy through a boba straw! NICE CALL on decaf!! I made coffee jelly with matcha latte a while back and it was a caffeine hit from insanity. Dialing back the caffeine with decaf is smart, buddy!!! heehee i’m still on the no caffeine trend (well, as much as i can) so i figured decaf jelly was the way to go! but your matcha latte with coffee jelly just gave me the idea for matcha jelly with an iced matcha latte!!!! I love milk tea but hate the boba because it hardens in the fridge. I tried this recipe but was hoping for a very chewy texture. Can you tell me what I can substitute or add for or to the gelatin? Thank you so much. hi, the jelly is nothing like boba because it’s made with gelatin where as bobas are made with tapioca. you could get them a touch more firm with more gelatin, but they still won’t taste the same unfortunately!